The Best Chocolate blogs from thousands of top Chocolate blogs in our index using search and social metrics. Data will be refreshed once a week. Also check out Chocolate Podcasts and Chocolate Videos from Best 10 Chocolate Youtube Channels. Chocolate newsletter is a comprehensive summary of the day's most important blog posts and news articles from the best Chocolate websites on the web, and delivered to your email inbox each morning. To subscribe, simply provide us with your email address. United States About Blog Welcome to Vera's world of most delicious chocolate desserts. Read the funny stories from Vera's kitchen and find many useful food blogger advices. Facebook fans 299,746. Twitter followers 377. St Louis via California About Blog A blog where you'll find chocolate recipes scaled down to serve just two. Facebook fans 26,235. Twitter followers 8,463. Ohio About Blog This blog is about bold and creative twists on classic recipes. Facebook fans 100,531. Twitter followers 5,450. Poland About Blog Hot Chocolate Hits is all things sweet, killer dessert recipe and sometimes savory. Facebook fans 94,916. Twitter followers n/a. Facebook fans 8,549. Twitter followers 31. Manitoulin Island, Canada About Blog The Ultimate Chocolate Blog is a journey for recipes, reviews, and chocolaty gift ideas by way of my chocolate blog. Facebook fans 935. Twitter followers 5,104. Facebook fans 1,058,754. Twitter followers 453,799. Idaho About Blog A food blog with tried and true Recipes.Featuring Russian and Ukrainian food and a little bit of everything else. Facebook fans 342,599. Twitter followers 1,711. United States About Blog Delicious gluten free recipes, sometimes dairy free and sometimes Paleo. Facebook fans 34,745. Twitter followers 4,642. Indiana About Blog Welcome to my Dessert Blog, where I love to share delicious recipes of sweet treats, healthy eats and never forget the chocolate! Facebook fans 36,198. Twitter followers 1,709. Vancouver, BC, Canada About Blog Ecole Chocolat celebrate and teach the art and science of chocolate! Facebook fans 8,570. Twitter followers 5,170. San Francisco, CA About Blog Dandelion Chocolate is a bean-to-bar chocolate factory and cafe in San Francisco. Facebook fans 10,806. Twitter followers 7,234. Facebook fans 96,711. Twitter followers 3,269. North London, British About Blog Hotel Chocolat is a British chocolatier and a unique type of chocolate company that connects luxury chocolate making and retailing with cocoa growing. Facebook fans 111,188. Twitter followers 53,821. Somerville, MA About Blog Experience stone ground organic dark chocolate with true grit! Bold flavor and texture, plus it’s Non GMO, Direct Trade, gluten free, dairy free, and vegan. Facebook fans 39,063. Twitter followers 16,906. Manitoba, Canada About Blog Doreen Pendgracs is on a quest in search of the best chocolate and chocolate travel experiences around the world. That quest has evolved into the Chocolatour project and brand. Facebook fans 888. Twitter followers 12,844. Tukwila, Washington About Blog Discover what goes on behind the scenes at Dilettante Chocolates. From delicious recipes to the latest news on our gourmet chocolates and products, there is always something tasty to learn! Facebook fans 2,812. Twitter followers n/a. London, UK About Blog Chocablog is the Chocolate blog. Chocolate reviews, chocolate recipes, features, news & more. Facebook fans 10,039. Twitter followers 14,015. Ecuador, South America About Blog To'ak Chocolate is made from rare Ecuadorian Nacional cacao beans. Using a unique barrel aging processes, we create extremely limited editions of luxury single-origin dark chocolate. Discover To'ak Chocolate today. Facebook fans 12,746. Twitter followers 649. Cambridge, UK About Blog We produce Raw, organic, Ecuadorian chocolate made with all natural, plant-based and ethically-sourced ingredients. Our mission is to introduce people to the power of raw cacao. We do this by creating a healthier, more nourishing chocolate without compromising on taste. Facebook fans 12,940. Twitter followers 11,494. Manchester About Blog High protein, gluten-free, low/no added sugar and healthy versions of sweet desserts, cakes and bakes, along with meals and snacks is what SpamellaB.com is all about. Facebook fans 1,181. Twitter followers 8,455. Phoenix, AZ About Blog Wei of Chocolate - Chocolate that's dairy free, soy free, gluten free and GMO free. Vegan, organic fair trade dark chocolate to enjoy with wild abandon, one extraordinary piece at a time. Facebook fans 3,112. Twitter followers 69. Sandy, UT About Blog Sugar Free Chocolate & Low Carb Chocolates by Amber Lyn. Facebook fans 5,972. Twitter followers 173. USA About Blog Elevate yourself to chocolate guru status with our fun and easy classes, for chocolate lovers and professionals. Facebook fans 944. Twitter followers 2,116. Victoria, British Columbia About Blog Heather Pace is a classically trained chef specializing in raw food cuisine.Try her healthy vegan dessert recipes that are mostly raw! Facebook fans 1,966. Twitter followers 3,398. Souderton, PA About Blog Making Fine Chocolates Since 1892 At Asher's Chocolates, we understand that one of life's sweetest pleasures is a simple box of chocolate. Asher's is a family-owned and operated business, and we've been making our fine chocolate and other classic confections for over four generations. Facebook fans 10,404. Twitter followers 2,303. Facebook fans 22,389. Twitter followers 963. Boulder, CO About Blog Piece, Love & Chocolate in Boulder provides you with luscious chocolate gifts, signature truffles, chocolate wedding cakes, petite pastries, corporate gifts, and so much more! Facebook fans 4,115. Twitter followers 1,216. Philadelphia, PA About Blog Fran has dedicated her career to creating healthy, wholesome desserts that are so delicious they rival nonvegan counterparts.Fom retro fun desserts to elegant vegan versions of the classics, Fran's recipes are clear, and concise, producing excellent results every time. Facebook fans 14,777. Twitter followers 10,534. Sherwood Park, AB About Blog JACEK Chocolate Couture is an handmade chocolate collection clad in decadence. Each piece is handmade in Sherwood Park, AB, using the freshest ingredients. Facebook fans 4,401. Twitter followers 3,903. Facebook fans 9,707. Twitter followers 3,150. Facebook fans 4,743. Twitter followers 2,506. Facebook fans 2,438. Twitter followers 1,991. Appleton, Wisconsin About Blog Full line of chocolates and hand stirred caramels made in small batches with fresh local ingredients. Facebook fans 9,517. Twitter followers 122. Isle au Haut, Maine About Blog Hand-made in Maine, gourmet, artisanal, fair trade, organic, chocolate, truffles, sea salt caramels, barks, corporate gifts, event favors & wedding confections. Facebook fans 4,928. Twitter followers 510. Hatboro, Pa About Blog The Stutz Candy shop offers a variety of milk and dark chocolate, chocolate truffles, molds and gift baskets. Serving Bucks, Montgomery & Philadelphia. Facebook fans 966. Twitter followers 71. Acton, MA About Blog Locally Made Gourmet Chocolate, Ice Cream, Frozen Yogurt, and sorbet, too! Facebook fans 2,061. Twitter followers 673. Vaughan, Ontario About Blog Double Chocolate Fountain specialize in all things Dessert, Chocolate & Fun! Stunning Double Chocolate Fountains ,Custom Desserts, Waffles, Donuts, Ice Cream and much MORE! Facebook fans 361. Twitter followers 450. Chicago, IL About Blog Premium Chocolate, Finest Cacao, Naturally made, organic, truffles, bars, european chocolate, everyday chocolate. Facebook fans 61,834. Twitter followers 46,678. Rochester, NY About Blog Hedonist Artisan Chocolates, a Rochester chocolate shop based in New York, makes and sells decadent assorted chocolates and chocolate collections. Facebook fans 5,365. Twitter followers 1,710. Brooklyn, NY About Blog A journey to explore the world of American craft chocolate. Author Megan Giller also writes about chocolate for Slate, the New York Times, and Food & Wine. Facebook fans 2,330. Twitter followers 2,232. Indiana About Blog The Chocolate Cult, a blog byTammyJo Eckhart is about helping the world choose the Best Chocolate. Facebook fans 1,074. Twitter followers 583. Paris Falls About Blog Mystery Writer & Chocolate Enthusiast. Facebook fans n/a. Twitter followers 11,286. Seattle About Blog Hand made dark chocolate truffles and salted caramels made in Seattle, WA. Untamed chocolate. Facebook fans 386. Twitter followers 29. GTA About Blog At Chocolate Tales, through our workshops, parties, events and online stores, they take great pride in providing stimulating content as well as hands - on chocolate making activities for all ages and life occasions. Facebook fans 1,367. Twitter followers 306. London, UK & Toronto, Can. About Blog A blog about the best things in life, mostly chocolate, lots of wine, travelling to distant lands and learning lots. Facebook fans 2,942. Twitter followers 16,037. About Blog A Travel Blog With A Hot Chocolate Obsession. Facebook fans 105. Twitter followers 258. Facebook fans 763. Twitter followers 1,577. Palo Alto, CA About Blog Unlike the candy most people know as chocolate, small batch, bean-to-bar makers create an amazingly wide range of amazing flavors and textures to delight even the most discerning palates.Your guide to happy chocolate. Facebook fans 1,523. Twitter followers 3,073. About Blog Heightening education & quality in the industry of artisanal chocolate & cacao fino de aroma through insights, interviews, resources, & consulting. From these observations, Foodensity aspires to be a blog not only to promote chocolate education toward consumers, but also to provide fresh, useful insights, resources, & prospects to the small-to-medium chocolate makers & fine flavor cocoa producers. Facebook fans 403. Twitter followers 183. Woodbury, Connecticut About Blog The finest quality, handmade chocolates using the best possible ingredients, inspired by the beauty of rural Connecticut. Facebook fans 138. Twitter followers 24. Facebook fans 177. Twitter followers 83. Pacific Northwest , North America About Blog Craft Chocolate Reviews and Interviews with Victoria Cooksey. Facebook fans 186. Twitter followers 786. DC, USA, Worldwide About Blog Exploring new cities by cafés and chocolate. Searching for experiences that nourish the soul. Time Cupsoul is a website dedicated to coffee and chocolate, filled with original coffee shop and chocolate articles and photographs, curated vintage chocolate posters and relevant artistic videos/songs. Facebook fans 14. Twitter followers 265. Facebook fans 1,569. Twitter followers 480. Mesa, AZ About Blog In Chocolate Connoisseur, you’ll discover a cornucopia of chocolate greatness and unique chocolates from around the world. Facebook fans 1,426. Twitter followers n/a. Phila, PA About Blog MUCHOMAS Chocolate: Helps local Nicaraguan farmers share their amazing cacao with the world. Facebook fans 342. Twitter followers 2,611. Facebook fans 1,764. Twitter followers 878. Europe, About Blog The latest news and trends in the fine chocolate industry on this blog for both chocolate professionals and consumers. Facebook fans 1,579. Twitter followers 1,061. About - My Chocolate Ltd is London’s only specialist Chocolate Making Workshop providers to corporate and private clients. About - Behind this chocolate blog is a search expert, journalist, reviewer and chocolate lover named Judith Lewis. She does all of this on her own and thinks it is odd speaking about herself in the third person but given all the conference speaking she has done and continues to do, she’s used to it. About - Ombar is delicious organic chocolate made from raw cacao and all natural ingredients without compromising on taste. About - Hello, I’m Choclette. I’m a vegetarian recipe developer and writer from Cornwall. I have a sweet tooth and a passion for baking and chocolate. 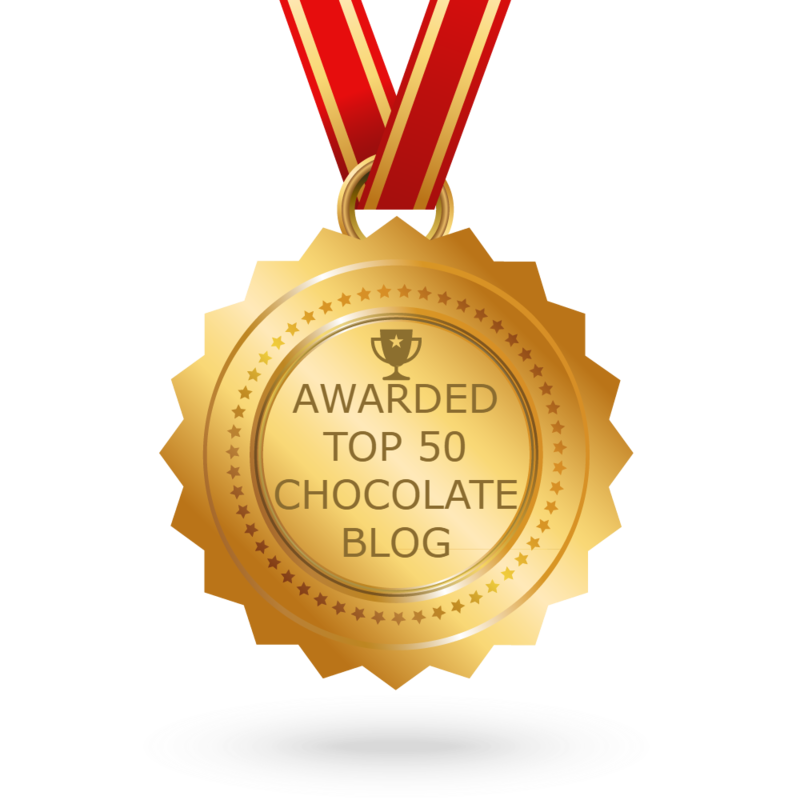 CONGRATULATIONS to every blogger that has made this Top Chocolate blogs list! 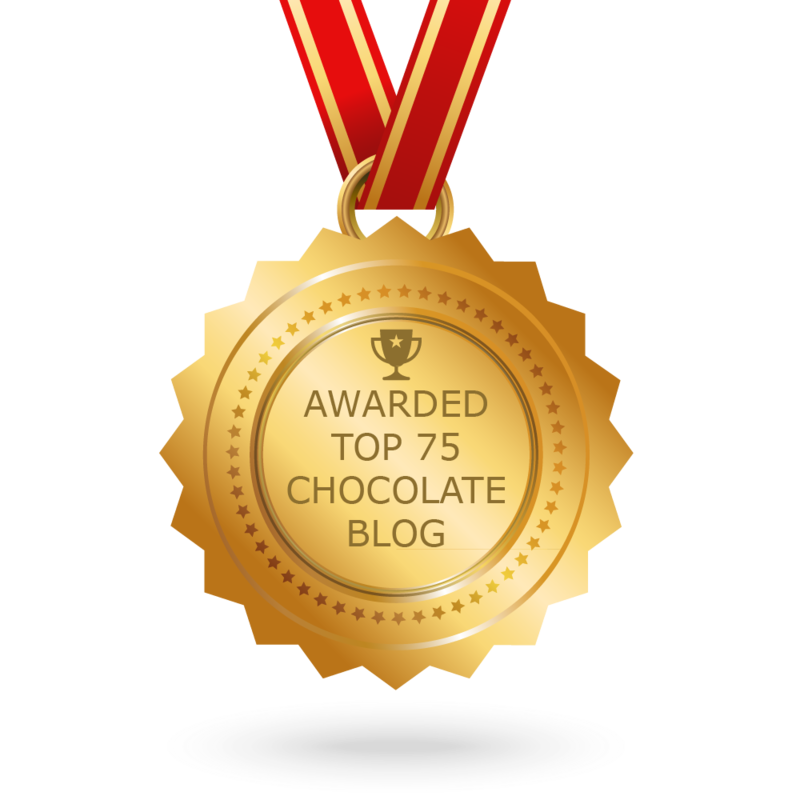 This is the most comprehensive list of best Chocolate blogs on the internet and I’m honoured to have you as part of this! I personally give you a high-five and want to thank you for your contribution to this world.